In Blender, blend Bottom 6 Ingredients. I halve Egg Rolls (To make sticks). Top a line, kinda pressing compact, rub edges with Water. Roll, sealing edges. Butter Flavor Cooking Spray Skillet. Heat. Add Sticks, brown all sides. Add to plate, sprinkle both sides with Garlic Powder and Parmesan. Serve with heated Spaghetti Sauce to dip. Notes: TOPPING Ingredients are Optional. Ideas (1-2T): Black Olives, Sauerkraut, Bell Peppers, Meats (Chicken, Sausage, Turkey Kielbasa, Shrimp, etc), Dipping Sauce (Alfredo, etc. ), Banana Peppers, Tomatoes, etc. I’ve been doing these for years. First starting with Making Pizza Roll types with Wontons. With shortly after deciding sticks were EASIER to make. I know this is a repost, but, I haven’t updated old post with a new photo, so Here it is. Blend all, except Egg Roll Wraps (Derr!). 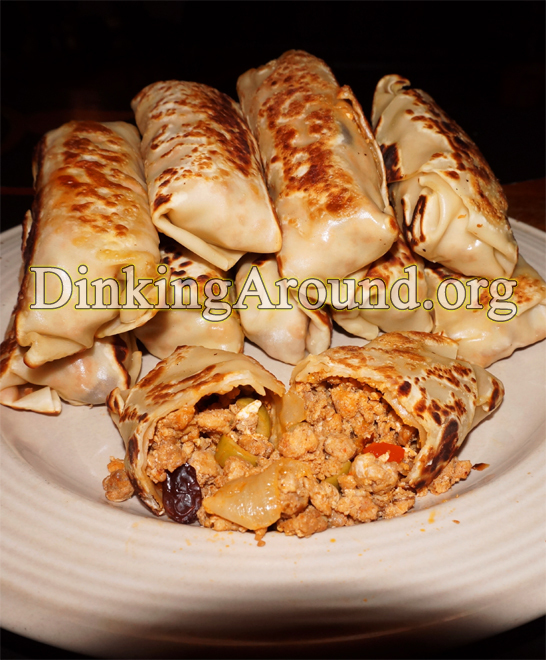 Cut Egg Roll Wraps in HALF!!! Spoon a line (About cheese stick size) onto Egg Rolls. Roll. Fold in Sides. Fry in Coconut Oil. Place on plate lined with Paper Towels. Sprinkle with Garlic Powder. Dip in Ranch, Salsa + Sour Cream, Spaghetti Sauce, endless options. COOKING OPTION: Baking is an Option. Or, Butter Flavor Cooking Spray Skillet and Brown Each side. Baking or Frying is best! If skipping McCormick’s Brick Oven, try 1/8tsp Sea Salt. Cook/Saute Spinach, Salt, Parsley, Garlic, Grn. Onions, and Meat (If using) in Oil. In blender, Rough BLEND: Beans, Queso, Cheeses, Milk/Sour Cream. Add Cheese Mix to Spinach. Cook a few minutes, to blend flavors. CUT EGG ROLLS IN HALF (Important). 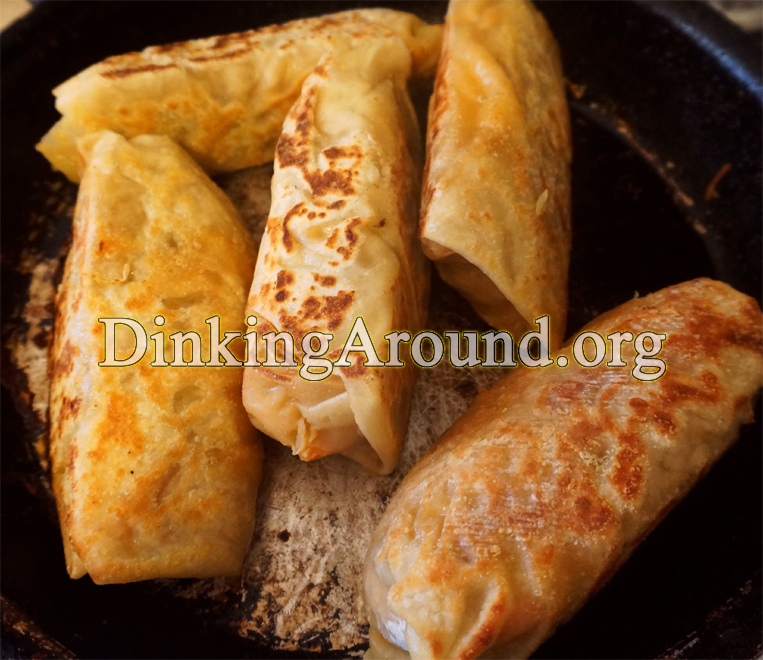 Add a thin line of Spinach Mix to Egg Rolls. 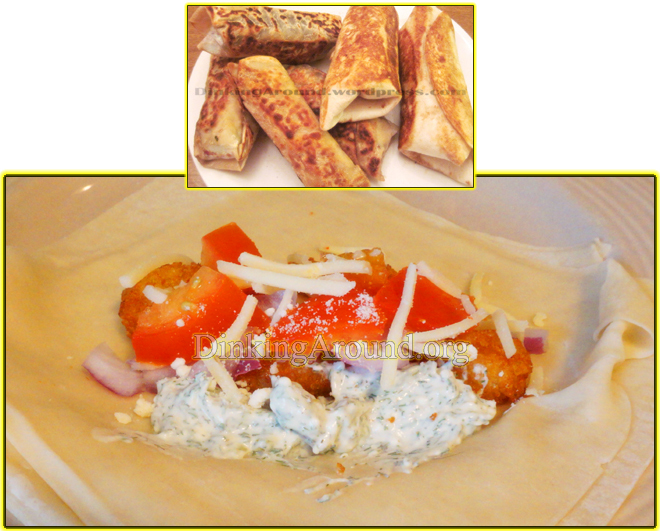 Roll, folding in edges at end..
Fry in Coconut Oil. Set on paper towel, sprinkle LIGHTLY with SMALL pinch Garlic Powder (Or Garlic Salt-LITTLE). Serve with Salsa, Spaghetti Sauce. Or Tay’s Jalapeno White Sauce+Salsa. COOKING Option: Butter Spray Skillet, Brown Each Side. Butter Flavor Cooking Spray skillet. 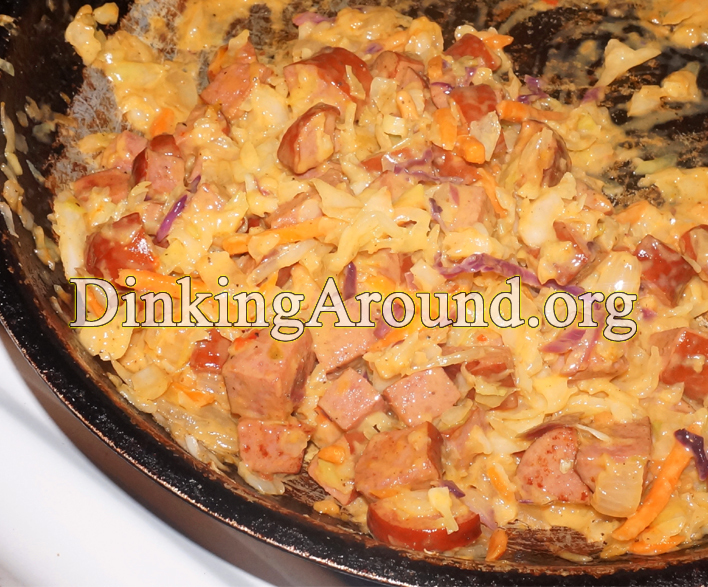 Add in kielbasa, cook few minutes. Add in onions and garlic, cook few minutes. Add in coleslaw and seasons, cool til tender. Stir in in Worcestershire. Add in cheese and queso, cook til melted. 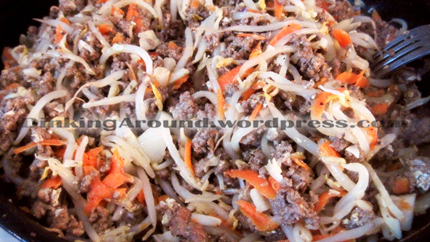 Add 1/3c mixture to egg rolls, rolls. Butter Flavor Cooking Spray clean skillet. 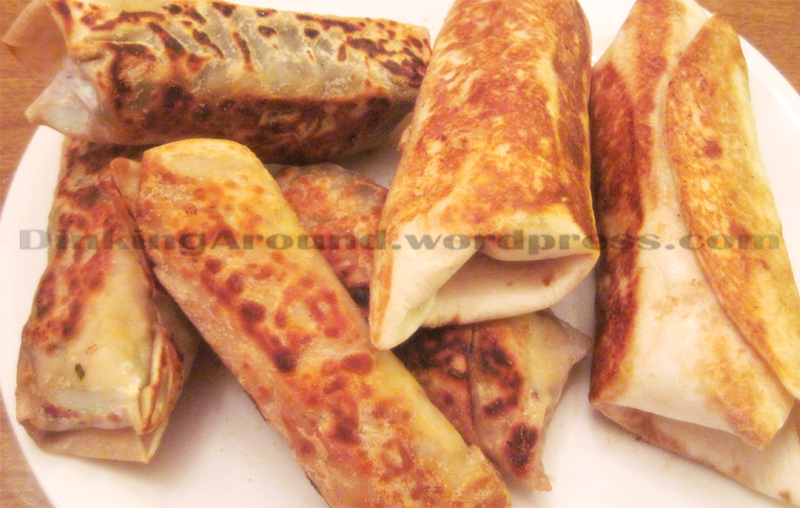 Brown all sides of egg rolls. Loved these alone, but, optional to serve with Salsa and Sour Cream. *You can skip egg rolls and eat alone. Or use cabbage leaves instead. Option to replace Kielbasa with: 1/2lb. Chorizo or with 1/2lb Beef/Turkey (Seasoned with taco seasons: Garlic, chili powder, cumin, coriander, etc.). … Also, I used 1 lb. of Kielbasa, but, will do 1/2lb. next time. It goes along way, thus, saving 1/2 lb. for another meal! Boil Chicken in water with 3 CRUSHED chicken broth cubes. Shred. Add in rest of chicken mixture. Add to egg rolls. Sprinkle on cheese. Roll. Heat skillet, spray with Butter Flavor Cooking Spray. Brown all sides. GREAT ALONE! Or serve with Salsa Con Queso or Salsa and Sour Cream. (I premade chicken mixture in late morning and rolled them that night. Allowing mixture to sit, blending flavors. Just reheated when time to roll-Great Time Manager, as well.). FREEZER FRIENDLY– Single layer, separately, onto plate sprayed with non stick butter spray. Freeze. 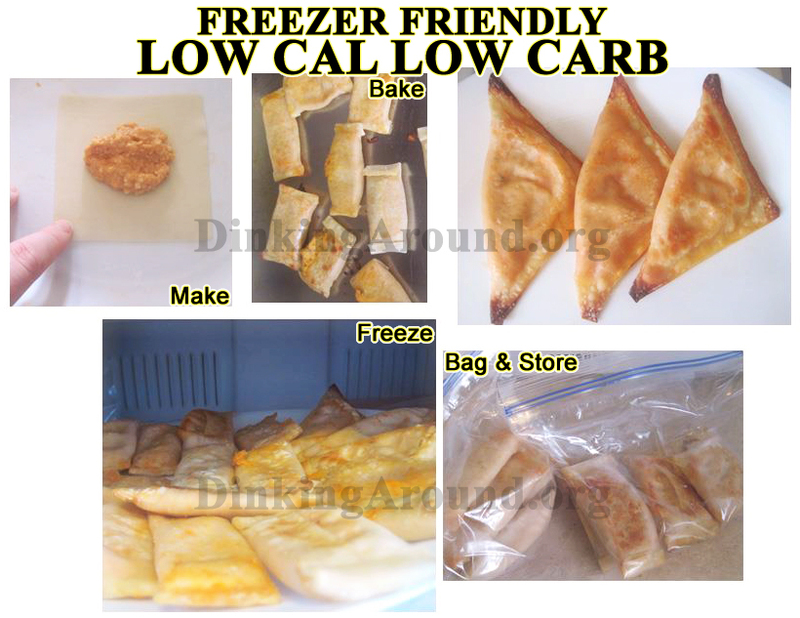 Once frozen, throw into freezer safe bag. *3 chicken breasts from a 3lb frozen bag. Made about 11 rolls. *You can try to skip Montreal, and in it’s place a good sprinkle of Ranch Dressing Seasoning Packet (Not entire packet), or do both- Montreal and Ranch! There’s been times I used a good sprinkle (Not all) taco season packet with a good sprinkle (Not all) wishbone ranch dressing packet with sprinkle of sea salt, parm. cheese, red pepper flakes, and skipped rest of seasons. 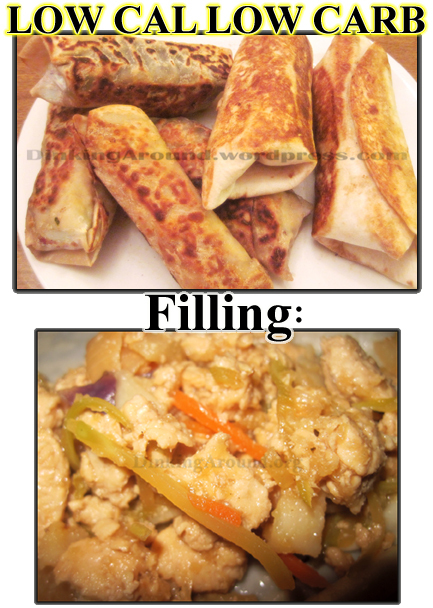 Many options to Southwestern Egg Rolls. The given recipe, above, is our favorite! *Optional wrapping: Cabbage Leaves, Spring Rolls, Empanada Dough… Deep frying optional. FREEZER FRIENDLY! Freeze separately on plate. Once frozen, add to freezer bag. YES! Add Olives and Raisins… They all add to the wonderful flavor. Butter Flavor Cooking Spray Crock. Add all ingredients. Cook on low for about 4, or so, hours. Add to Egg Rolls or Taco Shells. Top with Shredded Chedd. Cheese and a little Sour Cream. Heat skillet. Spray with butter flavor cooking spray. Brown all sides. You can also top over chips. Or, do as I do… Add to bowl with a little cheese, sour cream, a little salsa, top with croutons (I used Texas Toast Seasoned). Or Stuff into bell peppers. Bam! Done! You’re welcome. Boil and shred chicken. 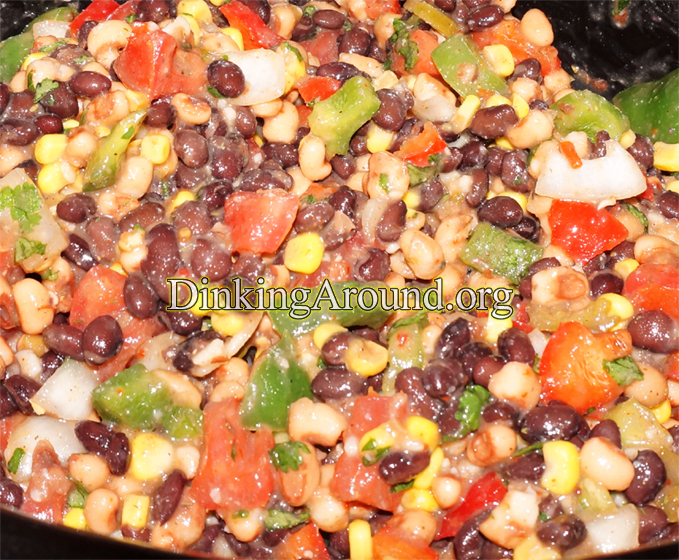 Mix with drained black beans and seasonings. 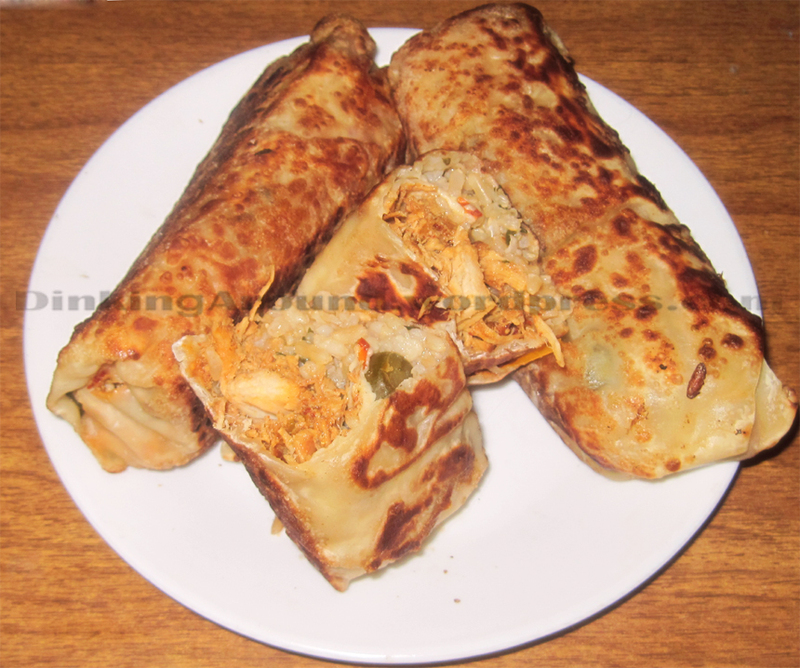 Top egg rolls with chicken mixture. Sprinkle A PINCH of cheese. Roll. Heat skillet. Butter spray skillet, nicely. Brown all sides of egg rolls. Eat alone. Or serve with salsa, or sour cream, or queso cheese dip, or combination of those. Makes about 8-10. I heated up sauce ingredients, then brought down to a simmer for a few minutes. Then, covered and set aside. Blend red pepper and onion. Mix above meat mixture. Form little logs to fit egg rolls. Roll into egg rolls with a LITTLE sprinkle of moz. cheese AND 3 pepperoni slices (Dab of water helps egg roll edges stick!). Brown each side in skillet with butter flavor cooking spray. LIGHTLY spray baking pan with cooking spray. Spread a little sauce mixture on bottom, top with egg rolls, top with more sauce, top with good amount of moz. cheese. Bake 375 for 40minutes. Last 10minutes top with Parm. Cheese (Store shelf kind) finish baking 10minutes. *NOTES: You can try Cabbage Leaves for wraps vs. Egg Rolls. I have yet to try, but you can try Ground Turkey Meat instead of Beef. Or Any Italian Sausage instead of Turkey Italian Sausage. Regular Pepperoni instead of Turkey. Depends on how healthy you want these to be. ***We did not use all this meat. Extra was refrigerated for hamburgers the next night. Cream together cream cheese, vanilla pudding, and vanilla extract. In another bowl, mix together cherries and pie filling. 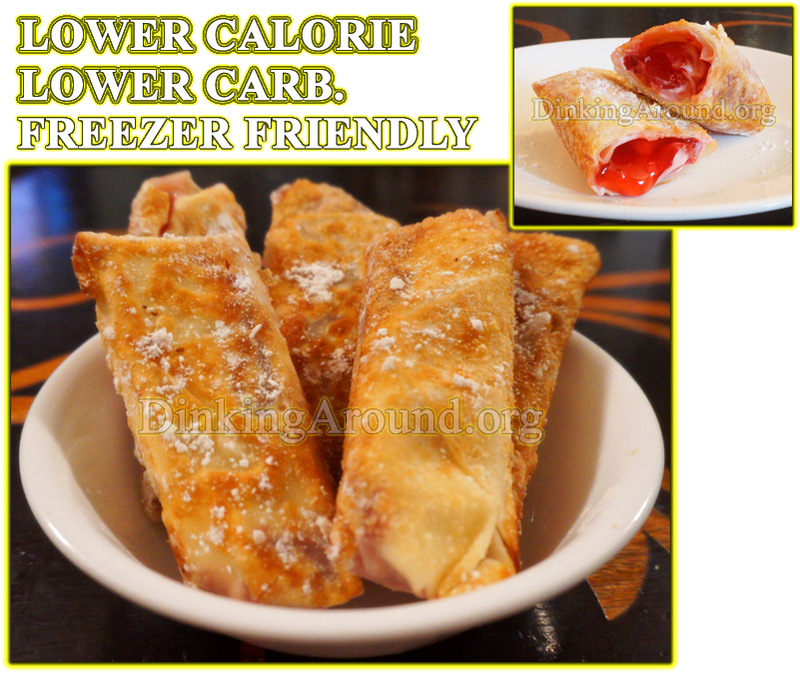 Put a nice line of cream cheese mixture onto eggroll, top with cherry filling mix. Wet edges. Roll. Heat Skillet with Coconut Oil. Brown all sides. Place onto plate and sprinkle powder sugar. Made about 12-15 rolls. To freeze, lay separated on plate sprayed with cooking spray, freeze, toss into freezer bag. *Notes: I did this with just filling, there wasn’t enough fruit. I had those cherries on hand. YOU CAN CHOOSE TO USE FRESH FRUIT, as well! Try Strawberry Pie Filling with Strawberries. Peach Pie Filling with Peaches, topped with ICE CREAM! Or Whip Cream. I always have leftover cream cheese mixture, use on bagels. Add Sauce Ingredients to crock that’s sprayed with Butter Flavor Cooking Spray. Cook about 4-5 hours. Cut up chicken, add back, and stir. Butter Spray Lasagna Pan. Spoon a LITTLE sauce on bottom. Add 1 layer of Egg Rolls. 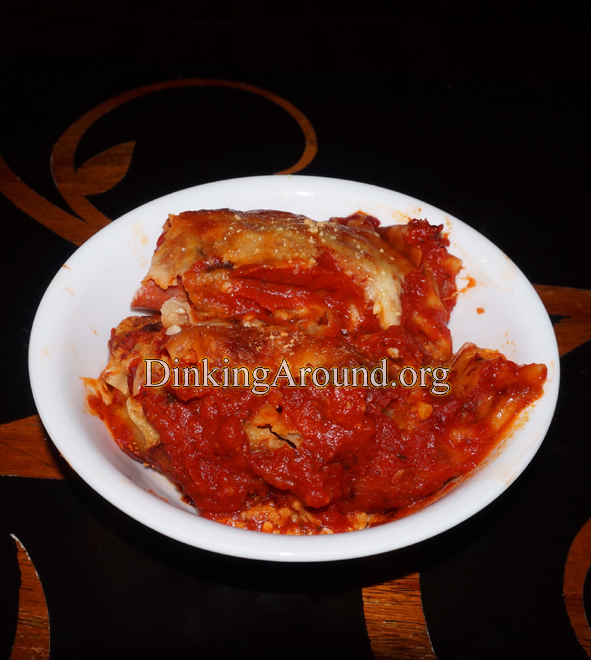 Top with Sauce Mixture. Top with Moz. Cheese. Sprinkle with Parm. Cheese. Repeat. Sprinkle top with Fresh Cracked Pepper. Bake til you think it’s done. (I did about 375 for 35minutes covered with foil, then 15minutes uncovered.) If needed, broil to brown top. Even if you’re not into fish, this dill spread is fantastic for Ham Roll Ups, etc. Mix sauce ingredients. Bake fish accordingly. Spread some sauce onto egg roll. Add other ingredients. Wet corners and roll. Spray skillet with Butter Flavored Cooking Spray. Brown all sides. Serve with side of more Dill Spread/Sauce. Sauce: INTO A separate bowl, drain pineapple juice (You will need 3T of juice). Add 1 cup of pineapple to blender. Blend. Add to bowl, add rest of sauce ingredients. Stir well. In skillet, sprayed with butter flavored cooking spray, cook chicken with onions. Once cooked and most juices cooked out, add in broccoli slaw, chestnuts, and teriyaki sauce. Cover and cook til broccoli slaw is tender, stirring frequently. Add a splash of soy, if needed, I usually don’t. Roll onto eggrolls. Brown all sides in skillet sprayed with cooking spray. You can eat this plain, on rice, OR on egg rolls. 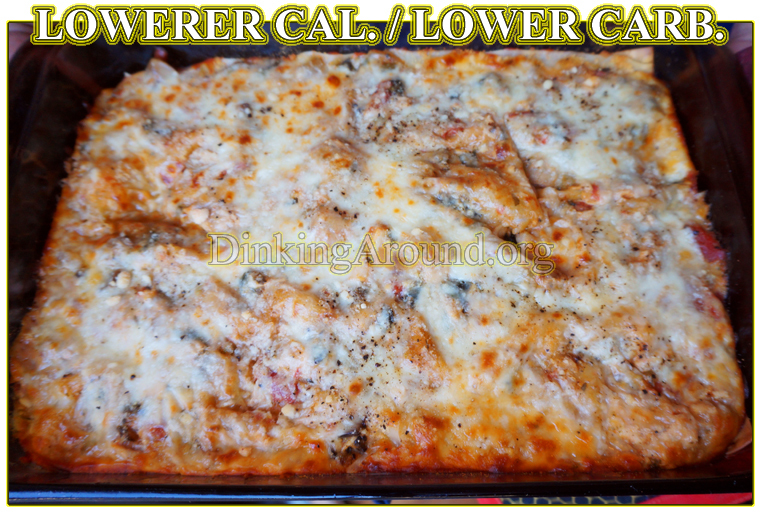 Great low carb and low calorie meal. Egg rolls are freezer friendly. Crisped Bacon, Jalapeno, Shredded Cheddar Cheese, Splash Worcestershire, Cream Cheese, A tiny smidge of Mustard. Season: Paprika, Onion Pwdr., Garlic Pwdr. Boil Chicken in Water with few Chicken Broth Cubes (Crushed). Shred WELL. Heat with Alfredo and 1 Garlic Clove (Minced) and some Onions (Chopped). Add in Frozen Broccoli (Thawed), to amount desired. Sprinkle of Grated Parmesan Cheese (Store shelf kind). Chopped Spinach Optional. Toss Shredded Cheese with Sauce. Add toppings of liking (Ex.) Pepperoni, Beef, Bacon Bits, Vegis (Peppers, Onions, Jalapenos, Tomatoes). Chop all WELL. Preheat oven about 375 or 400. Spoon mixture onto wonton, wet corners, fold as desired (I did squares & triangles-I liked the squares better. ), press down edges, spray pan w/ Butter Flavored Cooking Spray, layer onto pan, spray top w/ more cooking spray. Cook until browned, about 5 minutes, flip and cook until browned on other side. Keep an eye on them, they can burn fast! Optional: If eating right away, you can add more flavor by sprinkling a little garlic powder, salty eaters use garlic salt, over top when fresh out of the oven, let stand a min. Note- To prevent from oozing out, press down along edges well (I ran my damp finger along seem). I did poke a needle hole thro top of each before baking, seemed to work. Some went flat-ter. Freezer: Once cooked, single layer onto plate, separated. Freeze. Add to freezer bag. Cook: Place in microwave til warmed. Eat plain or with sauce of choice, mine for buffalo is sour cream or ranch. Frying in pan brushed lightly with EVOO (Or Butter Flavor Cooking Sprayed), brown each side, is optional. Or Deep Frying is optional (Try Coconut Oil). Also, turning into Pot Stickers! By adding Broth to the pan after browning, is optional, as well. But, I don’t think Pot Stickers would freeze too well. So right away eatings meal! *** ALSO, Egg Roll Wraps are Freezer Friendly!!! 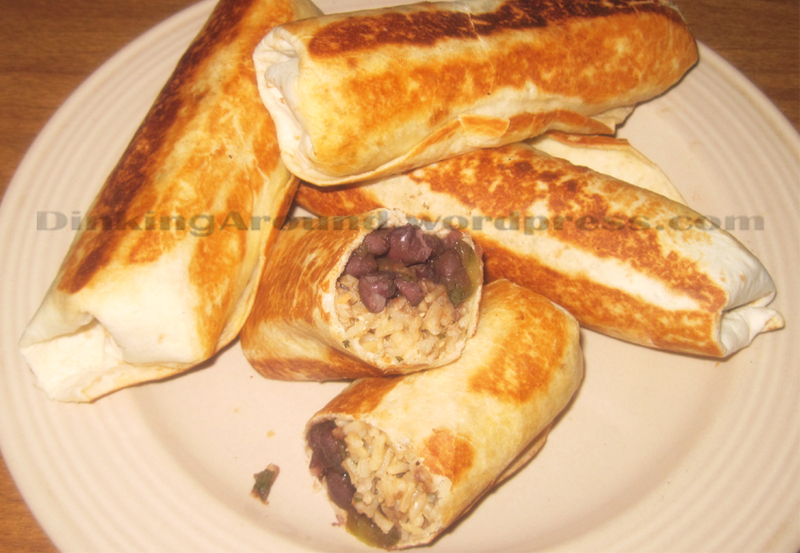 Try our Lupias, Magical Fruit Roll Ups, Southwestern Rolls… MANY MORE!!! 1 can Black Beans with Jalapeno and Lime* Drained mostly, keep some juice. Heat up black beans and seasons on stove top with 1/2tsp Cumin. Cover, set aside. I always microwave rice- In microwavable bowl with microwavable cover, add in rice, water, crushed broth cube (Dissolves better), cilantro, and a few good splashes of lime juice. Stir. Add to microwave, cook half way, stir, cook rest of way. Stir, allow to rest covered a few minutes. 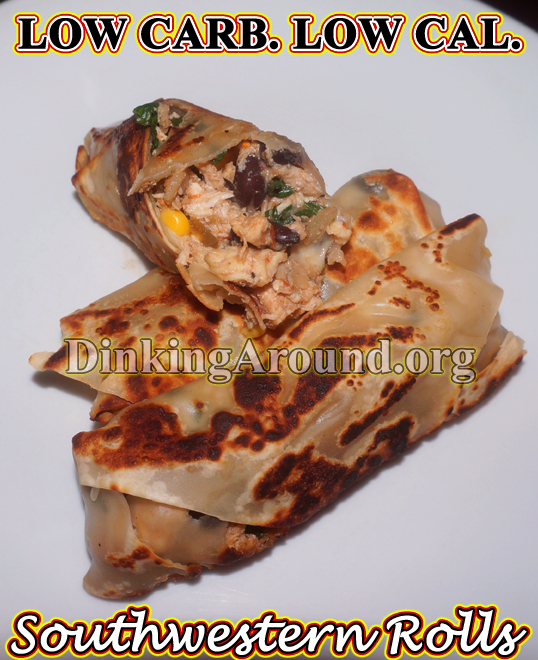 Add rice to egg roll/ soft shell, top with bean mixture. Add more jarred jalapenos, if desired. Fold in sides, wrap up. Brown all sides on skillet sprayed with Butter flavored cooking spray. When done, I always sprinkle lightly with garlic powder. Serve with salsa and sour cream. *(Can’t find? I’ve used reg. black beans, drain most way. Add in jarred jalapenos, minced. Season with Garlic Powder, Black Course Pepper, Onion Powder, Chili Powder, Lime Juice, Jalapeno Powder, Cumin. Few good splashes of Lime Juice. Almost the same thing. 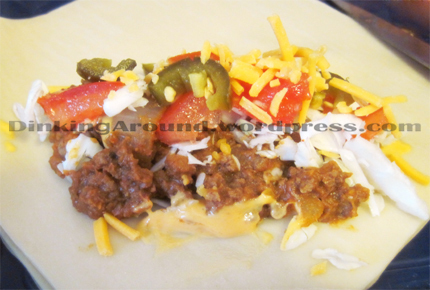 Other topping options are: Cream Cheese, Jalapenos, Rice (Cilantro & Lime Rice is tasty! ), even Lettuce or Coleslaw Mix (In place of lettuce). Season Beef as you Brown it, drain excess grease. Add in beans, onions, salsa, and taco season. Cook til soft. 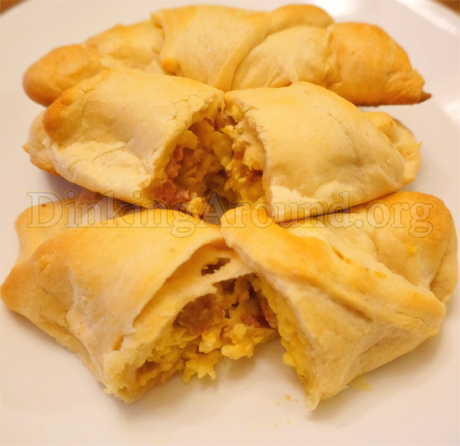 Spread Queso onto egg roll (Do cream cheese 1st, if using). Add Beef mix. 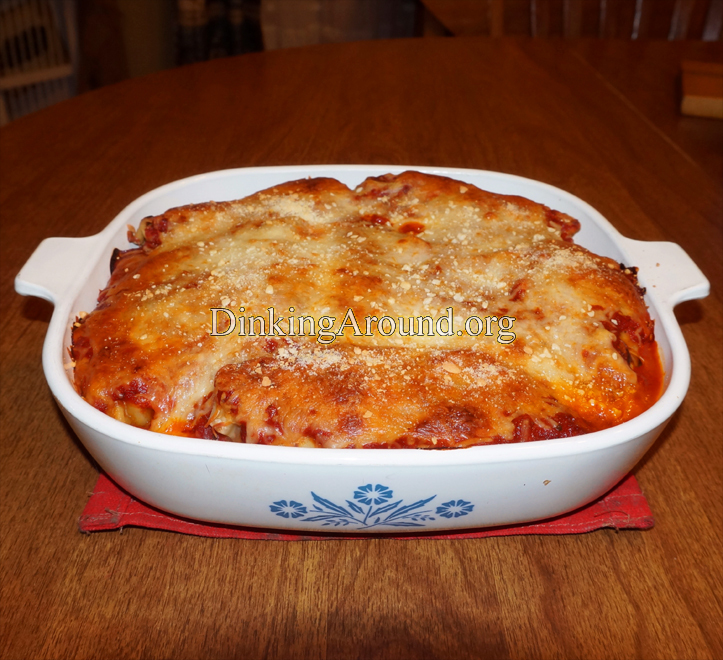 Top with toppings- Shredded cheese, fresh tomatoes. Roll up. 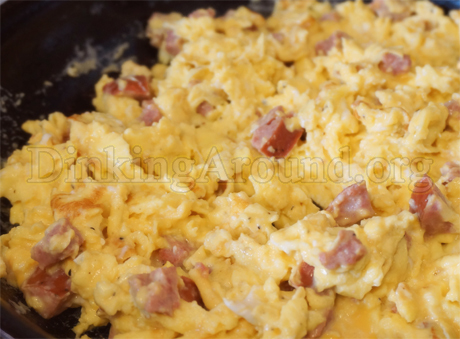 Non Stick Butter Flavor Spray skillet. Brown all sides. When done, I always sprinkle lightly with garlic powder. Serve with: Sour Cream, Salsa, or Queso. Great plain, too. *Turkey Meat can be used! ***Freezer Friendly, for later eatings. Single layer onto plate (I spray with non stick spray), freeze, once frozen add to freezer safe ziplock bag. Brown Meat, drain fat. (I sometimes saute in sesame seed oil.). Add Brown Sugar, small pinch of Ginger, good few dashes Garlic and Onion Powder, a good amount of Pepper. Add in Vegetables. Add in Cheese and Egg. Add in Soy Sauce. Cook til nicely blended and Egg is cooked. Roll up in Egg Roll. (Now these are usually deep fried, try air fryer! But, the healthier version we do:) Heat skillet, spray with Non Stick Butter Flavored cooking spray. Brown all sides. When done, I always sprinkle lightly with Garlic Powder (Some do Garlic Salt). Serve with Sweet and Sour mixed with Mild Cheddar Cheese (NOT Melted). Or… Sour Cream with Salsa. ***FREEZABLE! Single layer a plate with rolls (I spray plate with non stick spray), freeze, once frozen add to freezer bags. * (Sprouts And/Or coleslaw mix can be used- About 1.5cups if using coleslaw mix. Less if using both sprouts and coleslaw mix). Also, you can choose to deep fry these. But, our preference is skillet sprayed with Butter Flavor Cooking Spray!